That’s right, 5G is coming and the first 5G spec has been set. The players involved in building out 5G networks now have the details they need to make 5G a reality for you and I. 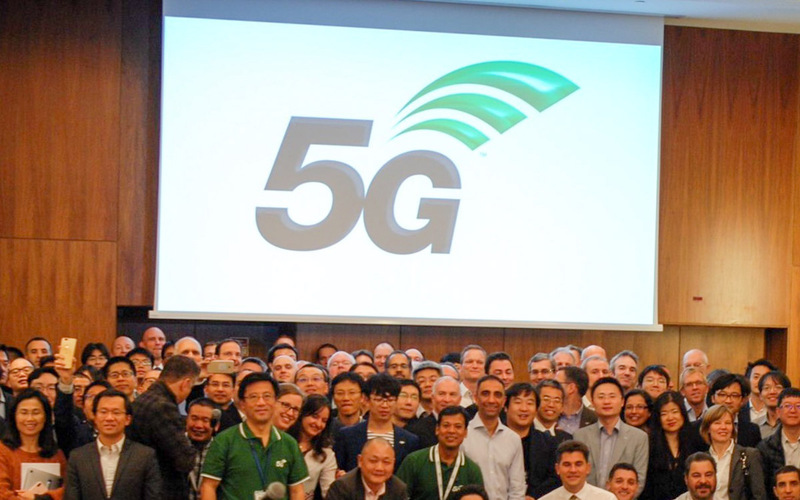 3GPP, the group of telecommunications organizations that meet to define standards, met yesterday and approved the first 5G spec. It’s a whole bunch of technical stuff that I’d imagine only network engineers will ever understand, but know this – we don’t get to 5G without this happening. By setting this first 5G spec, the 5G system architecture has now been defined, which means features, functionality, and services are understood by the players surrounding 5G. We’re talking about network slicing, interworking and migration from 4G, etc. Again, this is the super technical system stuff that you and I don’t really need to know, but companies like Samsung and Qualcomm and Verizon need to know well in order to bring 5G to our future smartphones. We’re still looking at carriers to tell us when they’ll have 5G available. T-Mobile, for example, is expecting 5G rollout in 2020. Verizon thinks they’ll launch some 5G broadband as early as next year. So we’re getting there, but it’ll still be a while.